Graeme Smith stated that David Warner needs Australian cricket more than it needs him ahead of the upcoming 2019 ICC ODI World Cup in England. 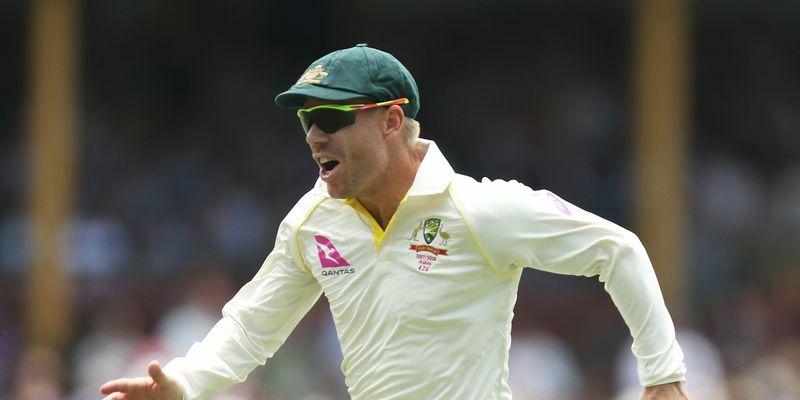 Smith has also added that Justin Langer and unnamed Australia captain will have to manage Warner if he will be included in the World Cup squad. Sunrisers Hyderabad’s David Warner has taken the IPL by storm this season having already notched up 349 runs in six matches so far. After missing out on the tournament last year, the left-handed opener made his return to the domestic league amidst much expectations from Indian fans. The 32-year-old opener is in line to be named in Australia's squad for the 2019 ICC ODI Cricket World Cup in England which starts on May 30. However, former South Africa captain Graeme Smith claimed that Warner needs Australian cricket more than it needed him. "I think at the moment he needs Australian cricket more than they need him. He's very driven, I think he wants to do well, he wants to prove his worth again and I think David Warner in that position is probably a good guy to have in your environment. "It's when he starts to get bigger than everybody else that probably management needs to be ready for. Guys like (coach Justin) Langer and whoever is captaining the side going forward need to ensure they stay on top of that and manage that space and that ego well going forward," Smith told Reuters. Australia begin their campaign with against Afghanistan on June 1. However, they will play two warm-up matches before the start of the tournament, first against hosts’ England followed by a One-Dayer against Sri Lanka.